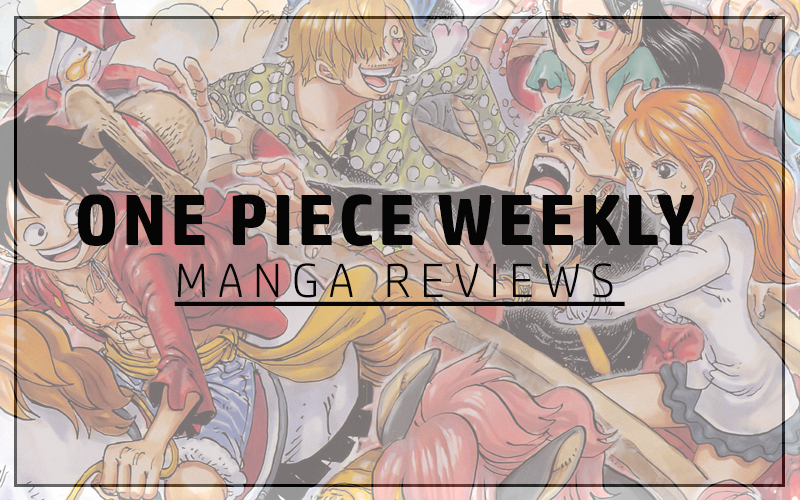 I was away on holiday for a couple of weeks and couldn’t review One Piece for the while but with all the recent revelations, I can’t contain my excitement. So much is happening so quickly, I feel like Usopp with his notepad trying to write everything down. 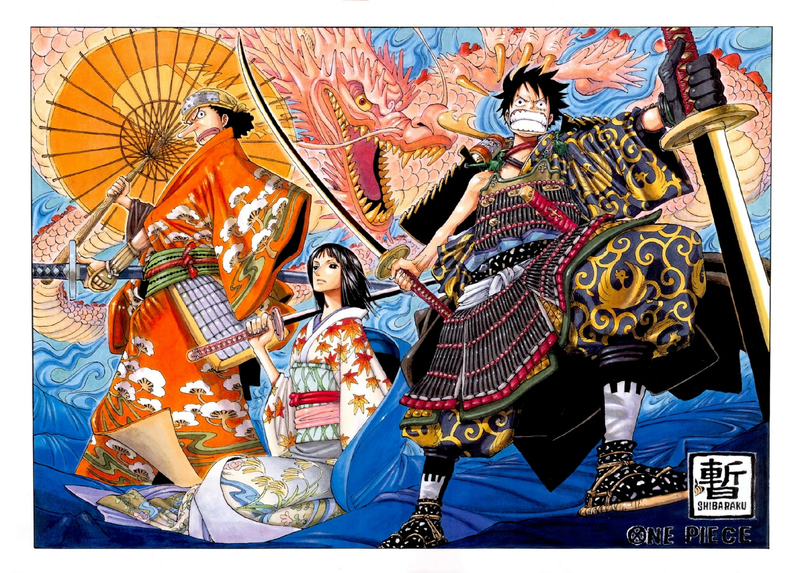 This is ridiculous for Oda and One Piece. Considering how One Piece has been criticized recently for its slow pacing in Dressrosa, Oda has definitely silenced his critics. The big leagues are here and we can tell. The title for the first of the two chapters is ‘The Cat and Dog have history’ and rightly so considering the amount of history the two of them have. Initially I thought they had become allies of Shanks considering they recognised the hat but then that would mean Shanks had sailed so far out even during the time Luffy was a child. Little did we know, Shanks was but an apprentice when, they were associated with both the Whitebeard Pirates and the Roger Pirates. Just thinking about it is making my head spin. Momo’s dad must have been a huge thing if he sailed with both these great men and the fact he has Nekomamushi and Inuarashi as subordinates. 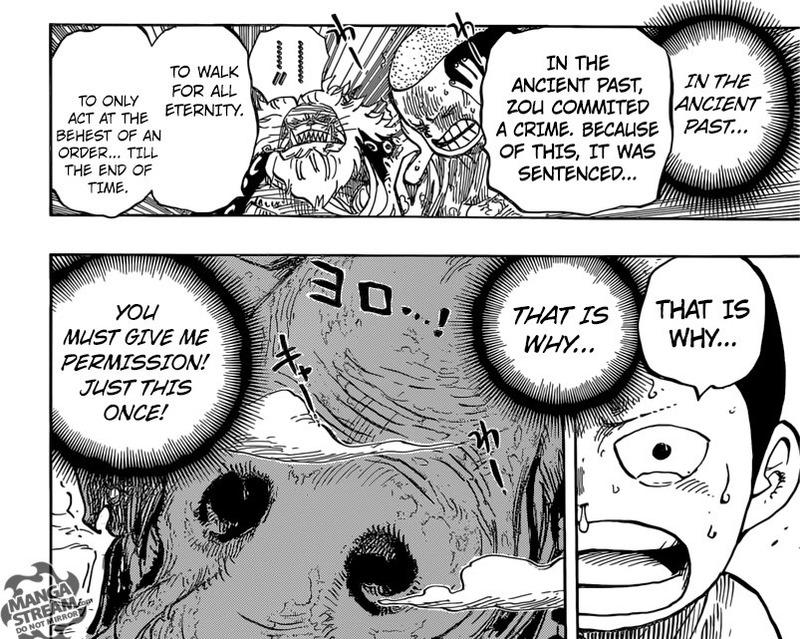 ‘Understood’ is in reference to Momo’s comman to Zunisha following its request to be given the opportunity to take on Jack. The first huge thing we learn is the Whitebeard Pirates, led by Marco ‘The Phoenix’, went up against the Blackbeard Pirates. They suffered a huge defeat. Apparently Marco and the rest of the commanders went into hiding right after. Nobody quite knows where they currently are but Nekomamushi plans to go and find Marco to get their help against Kaido and the Wano Shogun. Two of the biggest legends in One Piece history were apparently not just pirates with mutual respect for one another but acquaintances. They were both allies and reached Raftel together; hence why Whitebeard knew that One Piece exists. So Wano has trouble brewing for the samurai’s considering the Shogun has teamed up with Kaido. Now there will be a war where the Straw-Hats will team up with the Samurai’s, Minks and Whitebeard Pirates to take on the Shogun and Kaido’s crew. This is huge. They’re taking on a frickin Yonkou but at least they’ve got a plan for it. Looks like Luffy won’t be going alone to Big Mom’s party after all and I’m not talking about just taking Pekoms with him. I’m on about team Curly-Brow which consists of Chopper, Brook and Nami. Let’s not forget, the three of them haven’t had much loving either for the whole while Sanji was off-screen. It’s their time to shine after all. 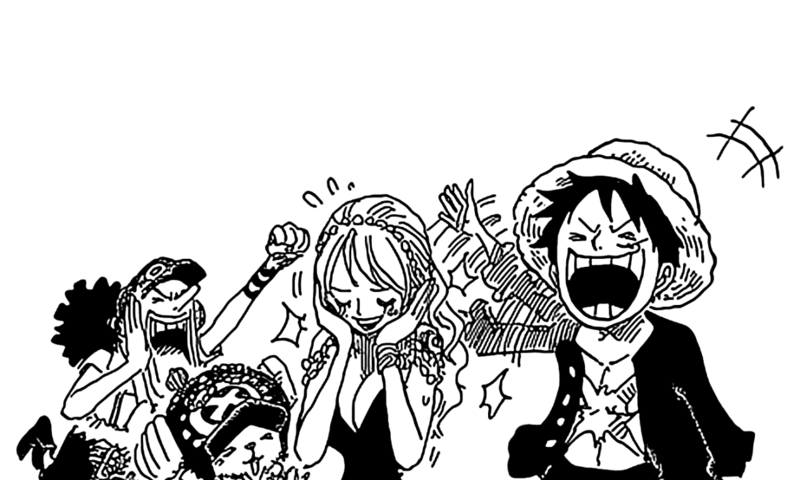 I loved the praise Nami got this chapter. 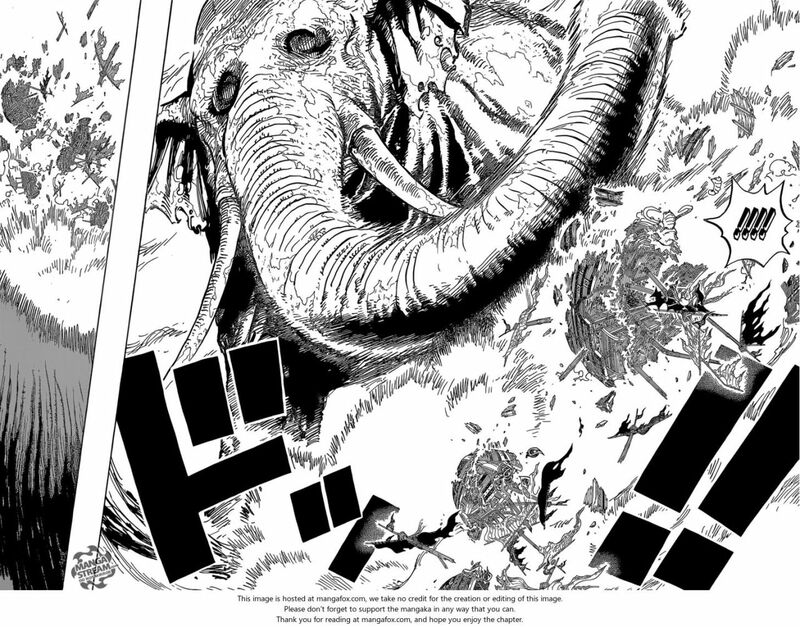 Luffy, as we already know, can hear the voice of all things and this was reaffirmed as Jack attacked Zunisha, the elephant that carries the land of Zou. 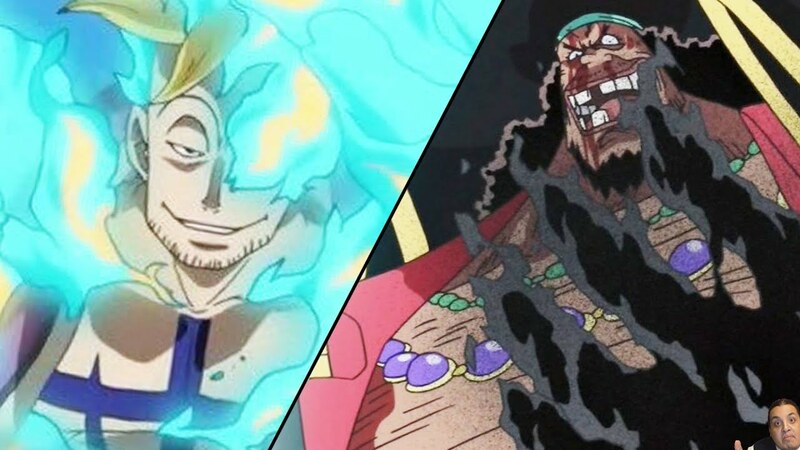 Momo also can hear this voice and as Luffy represents Roger, Momo represent his father Lord Oden who was also a part of Roger’s crew and reached Raftel. 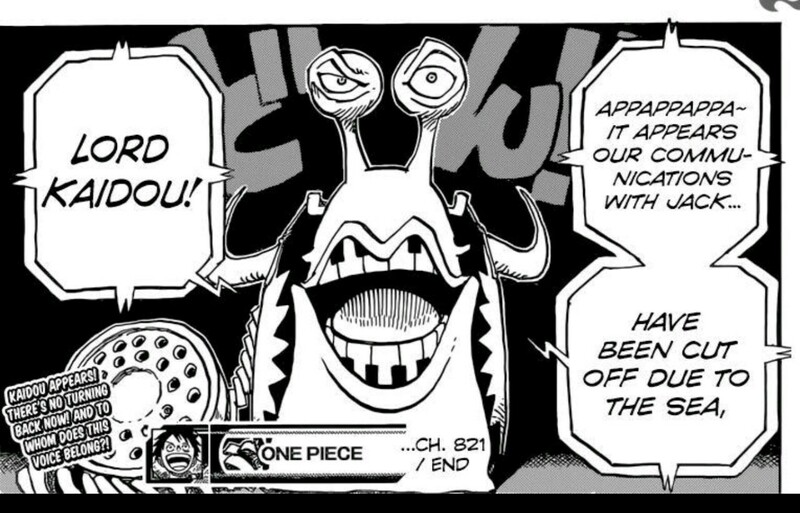 This could possibly mean Momo also joins Luffy in his voyage to Raftel. Considering his people were the ones who forged the poneglyphs, it makes sense for him to take interest in all of this. Apparently the huge animal can not only speak but can implant images in Momo’s head, showing Jack attacking the huge beast. It also reveals that it is cursed for some crime it committed and must continue walking and cannot do anything unless commanded. It asks Momo for the chance to take out Jack before Jack defeats Zunisha and upon doing so, destroys the whole of Zou. Momo gives the command and we see the defeat of Jack and his ships in a mere moment. A simple swing of the trunk and Jack was defeated, or so it seems. This Jack is a bit crazy, wouldn’t you agree? Having said that, I don’t see Jack going down that easy, considering they call him a calamity, he has a billion beri bounty and is known as the drought. It looks like Kidd and the group have aligned themselves with Kaido after their recent encounter. That means Kaido has 5 of the 11 original supernovas under his thumb, although I don’t feel Kidd is the type to succumb to anyone. It could simply be an alliance to take down Shanks considering it’s a mutual benefit to the both of them but hearing Apoo call Kaido with the prefix ‘Lord’ it seems they are now his underlings for the time being.